Sweidsh headphone maker Jays AB is launching a new series of headset products this year that are specifically aimed at smartphones. The a-JAYS Five have a three-button remote control unit on the main chord, a tangle free cable, and updated ergonomics. They will be available in three variants, one for Android, one for iOS, and one for Windows Phone. These variants are necessary because there are a number of different headset connector types and signalling method for remote controls. It's interesting to see the ecosystem name being used to make this differentiation, even if the true situation is a little more complex. It's clear that this is a way to provide consumers with a sense of reassurance than a headset will work with their chosen product, but at the same time it does also reinforce, in the consumer's mindset, that they are in an ecosystem. Whether or not that's a good thing will depend on your view of ecosystem lock-in. With the intention of leaving no music lover behind, Swedish headphone maker Jays AB (publ) now launches a brand new series of earphones with the name a-JAYS Five, based on the experience from the critically acclaimed and awarded global sales success with a-JAYS Four for iOS. 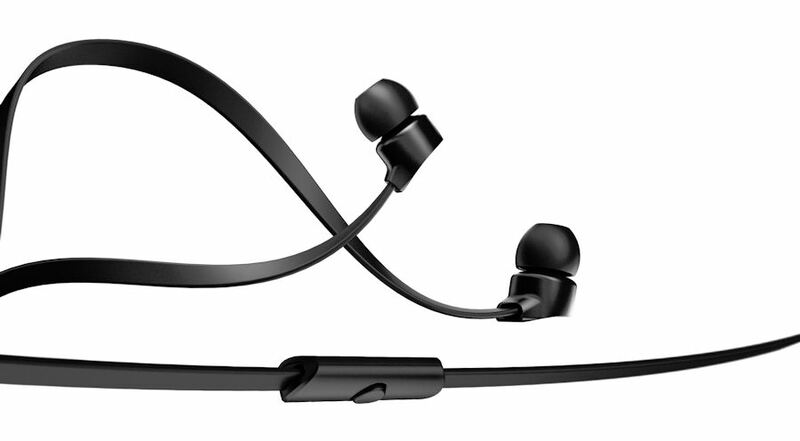 As the world’s first earphones, a-JAYS Five will be available in three versions for iOS, Windows and Android in the concept iWA, with a three button remote control in conforming design with full functionality for all three platforms. The a-JAYS Five series is a brand new product and is, after a thorough development process, a natural next step in innovative platform thinking. a-JAYS Five offers enhanced features with a further refined sound, a further developed flat tangle free cable that JAYS taught the world to love, a newly developed cable clip, an updated and optimized ergonomics and one of the world’s best MEMS microphones. Everything is presented in a new package including a carrying case for easy storage, in black or white. "In our fascination for a digitalized world we also understand the increased need for really great analog products. We want to create true meaning with our technology and know that we can satisfy the demand for quality, user friendliness and musicality. Therefore we now make an active choice for our users by launching our strongest effort to date in three versions for the most widely spread platforms iOS, Windows and Android for most smart phones. By being the first in the world to do so, we manifest our mission to provide a strong musical experience for our users, friends and fans with a focus on what is really important." The a-JAYS Five, which are available in black and white, will go on sale later this summer, with an estimated retail price of €89.99 / $99.99. So why has buying an optimised headset even become an issue? The simple answer is that there are different types of headsets and they are not compatible with each other. A longer answer requires a look at the different types of headset currently used in smartphones. The most common issue that causes compatibility issues is the number of conductor points on the headset and what they are connected to, but the signalling arrangement (i.e. the way remote controls work) is also important. Modern smartphone typically use headsets with four conductor points (the "bands" that you can see on a connector). In almost all cases two points are used for audio out (stereo), one for the microphone, and one for signalling (e.g. to end a call). However, these points are not always used in the same way, or in the same order. There are two common arrangement for a four conductor point headset. The first, known as American Headset Jack (AHJ) standard, has the microphone connector point on the sleeve end, with the signalling (or ground) connector on the second ring. This arrangement is used by HTC devices, and some recent devices from Sony and Nokia. Apple uses a similar connector arrangement, but uses a non-standard microphone and control signalling method. The second common arrangement is the longer established and more formalised OMTP standard. It has the signalling connector (ground) next to the sleeve, with the microphone connector on the second ring. This is the reverses of the AHJ arrangement. It is used by the majority of mobile phones currently being sold, most Samsung smartphones, and older Sony Ericsson and Nokia smartphones. All HTC Windows Phone devices uses the AHJ connector, while Samsung's Windows Phone use the OMTP connector (unconfirmed for the most recent devices as Samsung has started switching over). Nokia's first generation of Lumia products (Nokia Lumia 505, 510, 610, 620, 710, 800 and 900) have an AHJ connector, which is different from the OMTP connector used in earlier Nokia products (including its Symbian smartphones). Nokia's Windows Phone 8 devices (Nokia Lumia 520, 521, 620, 720, 810, 820, 822, 920, 925, and 928) use a new universal connector, enabling the use of both AHJ and OMTP headsets. Apple's non-standard signalling and control method means many designed for iPhone headsets are incompatible with other devices. In general the audio out and one button control on such headsets will work, but the audio-in (microphone) and volume controls will not. Some headset manufacturers produce dual version products that have wider support (presumably supporting more than one signalling method), but working out which is which is a little hit and miss. Our general advice would be to avoid iPhone specific headset accessories where possible; instead look for AHJ or OMTP compatibility as suited to your specific device. An added complication is added in by the way in which the signalling (remote control) element works. The AHJ standard has a number of defined shortcuts in addition to the single button press (answer/end call, or play/pause music). These include a long press for voice commands, a double press to skip forward a music track, and a triple button press to skip back a music track. These shortcuts do not always seem to be universally implemented, but there's no particular pattern that we can discern.